Remember the toys I got from EntirelyPets on my birthday? I finally got to try out the first one! So why do I look so annoyed? Because who wants to pose with an unopened toy? Let’s get to it! 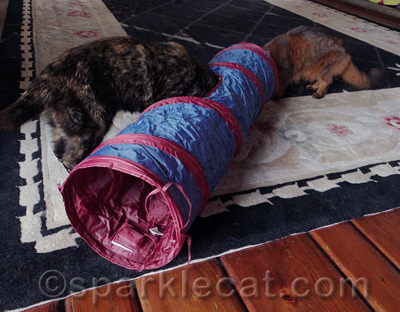 With the Petlinks Twinkle Chute tunnel toy, there’s nothing to assemble — just remove the packaging, untie the ties and it’s ready to explore! 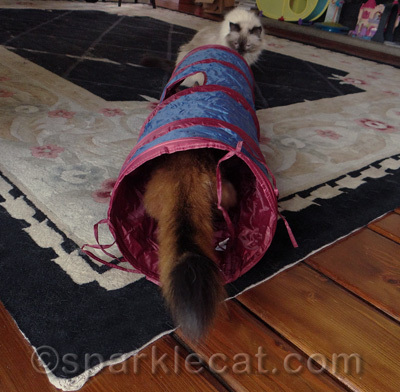 Your human can even drop a catnip mousie or other small toy in the side hole, as long as there is no Binga head blocking it. Stand back, I’m going in! Somekitty does not play fair! 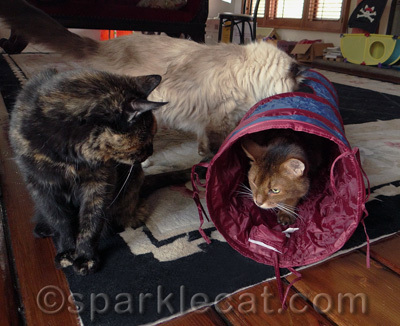 Binga is just jealous because I have claimed this Twinkle Chute as mine! 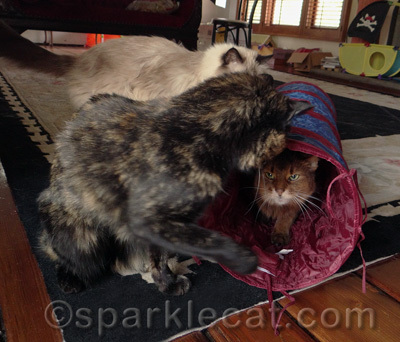 It got paws up from me and Boodie and a smacky paw of envy from Binga. So I highly recommend it! 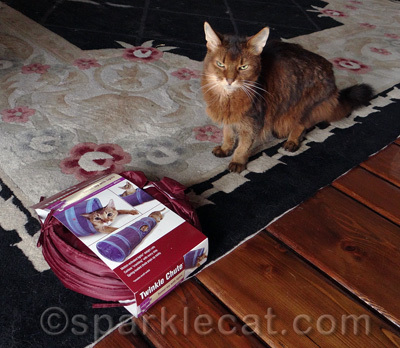 Who will be Binga’s next victim? 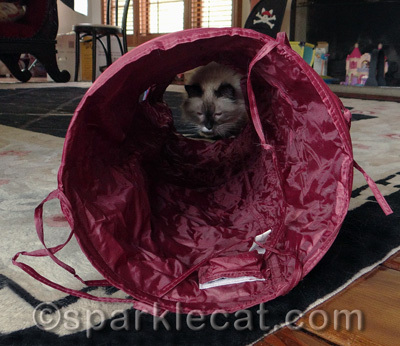 Note: We got the Twinkle Chute Tunnel toy for free from EntirelyPets, but our opinions are totally our own. 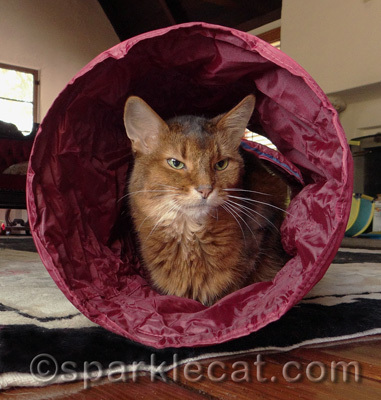 Links to EntirelyPets are affiliate links — to help pay for our blog hosting and cat treats!